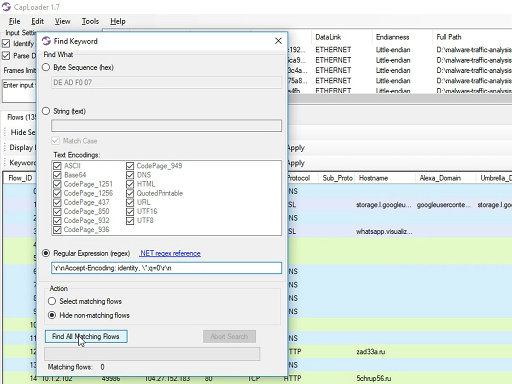 This short video demonstrates how you can search through PCAP files with regular expressions (regex) using CapLoader and how this can be leveraged in order to improve IDS signatures. The EmergingThreats snort/suricata rule mentioned in the video is SID 2014411 “ET TROJAN Fareit/Pony Downloader Checkin 2”. After recording the video I noticed that the leaked source code for Pony 2.0 actually contains this accept-encoding header as a hard-coded string. Have a look in the redirect.php file, where they set curl’s ﻿CURLOPT_HTTPHEADER to this specific string. Wanna learn more about the intended use of quality factors in HTTP accept headers? Then have a look at section 14.1 of RFC 2616section 5.3.4 of RFC 7231, which defines how to use qvalues (i.e. quality factors) in the Accept-Encoding header. Finally, I'd like to thank Brad Duncan for running the malware-traffic-analysis.net website, your PCAP files often come in handy! Thank you @EmergingThreats for the fast turnaround! 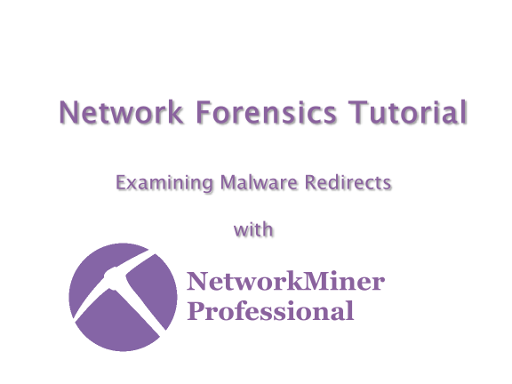 This network forensics video tutorial covers analysis of a malware redirect chain, where a PC is infected through the RIG Exploit Kit. A PCAP file, from Brad Duncan's malware-traffic-analysis.net website, is opened in NetworkMiner Professional in order to follow a redirect chain via a couple of hacked websites before delivering malware to the PC. Check out our series of network forensic video tutorials for more tips and tricks on how to analyze captured network traffic. 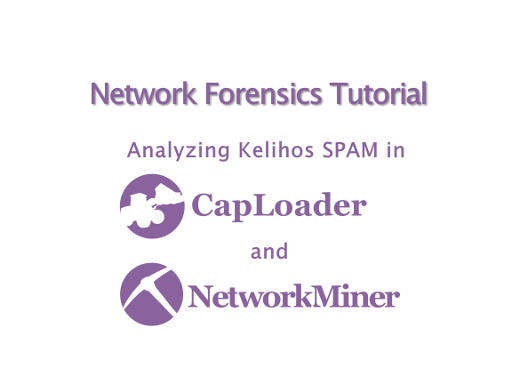 This network forensics video tutorial covers how to analyze SPAM email traffic from the Kelihos botnet. 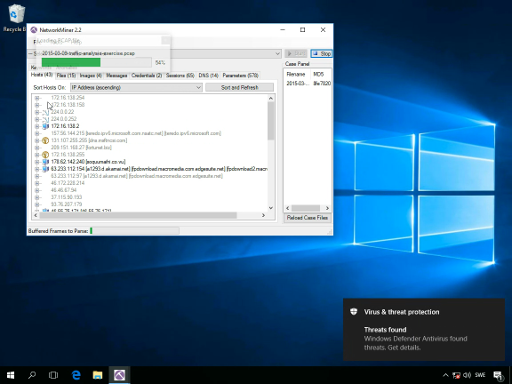 The analyzed PCAP file comes from the Stratosphere IPS project, where Sebastian Garcia and his colleagues execute malware samples in sandboxes. The particular malware sample execution we are looking at this time is from the CTU-Malware-Capture-Botnet-149-2 dataset. This second video in our series of network forensic video tutorials covers a quick and crude way to scan a PCAP file for malware. It's all done locally without having to run the PCAP through an IDS. Kudos to Lenny Hanson for showing me this little trick! We are releasing a series of network forensics video tutorials throughout the next few weeks. 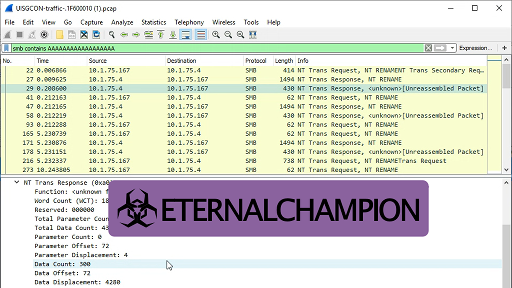 First up is this analysis of a PCAP file containing network traffic from the "Zyklon H.T.T.P." malware.